WELCOME TO THE WORLD Little Miss Eva Leone Vivian Hutson!!!! I cannot wait to meet you and take your picture! My very dear friend Mrs T very recently (like yesterday morning!) gave birth to a lovely little girl. 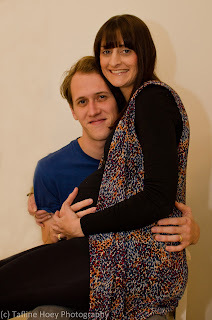 So I thought now would be the perfect time to share some of the pregnancy photos I captured recently. Mrs T - you are amazing!!! I love you a million times a billion times all the starts in the sky. Just a little over a week ago my dear friends allowed me the absolute privilege of coming into their home to take a few photographs. And it was amazing! It was beautiful to spend some quality time with two much-loved, wonderful people and it was great to be behind the lens again. This little photoshoot took place 4 days after I had my plaster cast removed. So I was quite literally still finding my feet. But it felt so good, so right, so natural to be back behind the lens doing what I love. Thank you guys again so very much for giving me the opportunity. Quite honestly I'm still going through and editing the photos but I just couldn't wait any longer to share some of my favourites from the day. These people are phenomenal and are going to be amazing parents. I simply cannot wait to witness their family grow even more in strength, character and love. It's going to be a wonderful thing to watch. There's a vintage-y, classic vibe about their home. It's so beautiful and has such a peace about it. I simply adore all the little touches. There are these two amazing chairs in their home that I had to photograph. For some reason this photo just seemed right to me. Maybe it's because the little chair is a gift for the baby... For whatever the reason I liked the visual of the chairs together in a photo. So there it is... My first photoshoot post-break (or AB - after break - as one of my friends suggested). Every time I get the honour of doing something like this it serves to further cement the belief that this is what I want to do with my life. I can't wait to get out there and capture some more beautiful moments. Rest assured that there will be more photographs to share. But in the meantime thanks for stopping by and have a wonderful week.